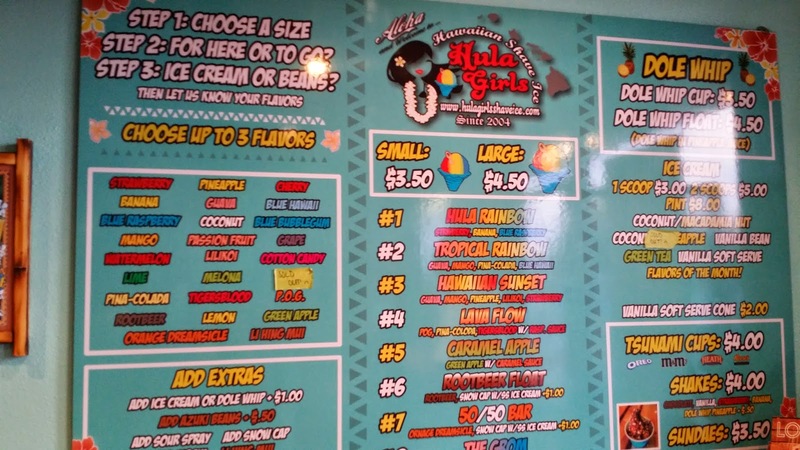 DOLE WHIP & TSUNAMI CUPS @ HULA GIRLS SHAVE ICE - HUNTINGTON BEACH - EAT WITH HOP! THE MYSTERY FLAVOR WAS LUCKY CHARMS (IF I REMEMBER CORRECTLY). IT WAS SOOOOOOOOOO WORTH TRYING!! THEY HAVE SUCH A CUUUUUUUUUUTE SPOON! 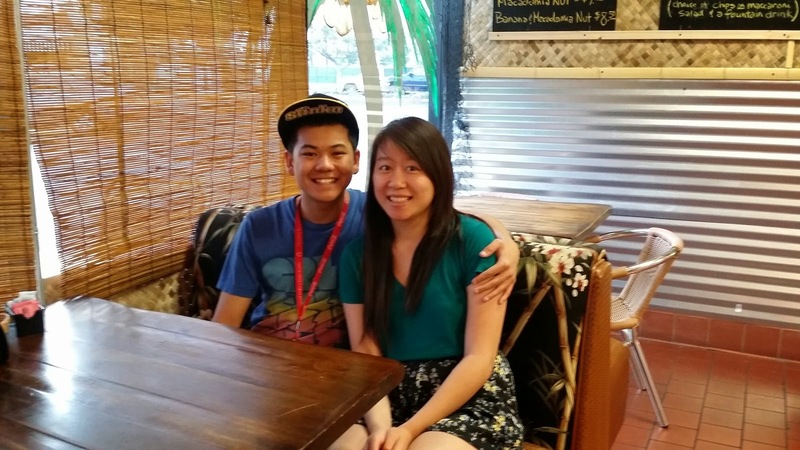 I alwaaaaaaaaaays pass this place whenever I go to Kev's house! 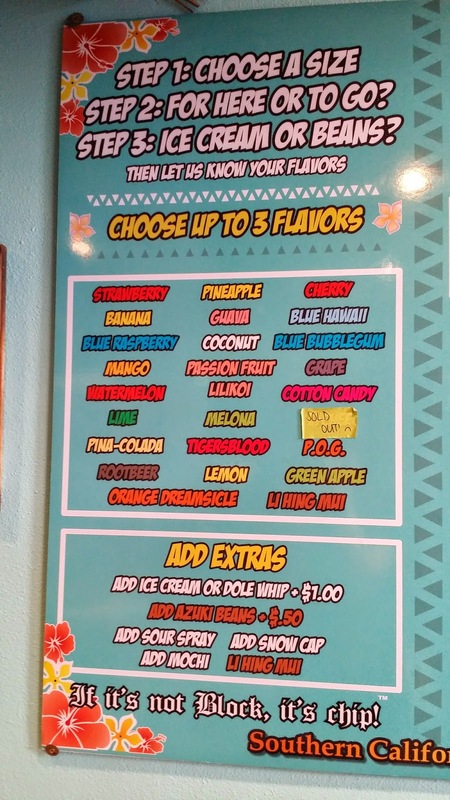 I first discovered it when we went for a jog down Bolsa Chica street and I was attracted by the DISNEYLAND STYLE HAWAIIAN PINEAPPLE DOLE WHIP BANNER. Finally, I gave it a try! 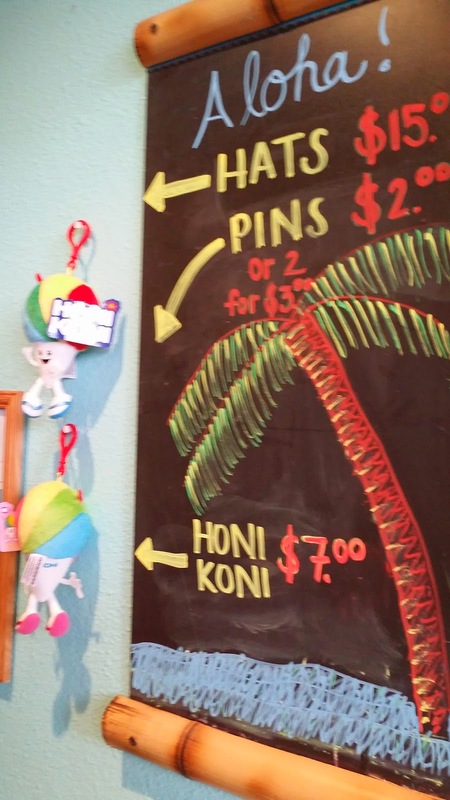 This place is decorated with many Hawaiian knick knacks. 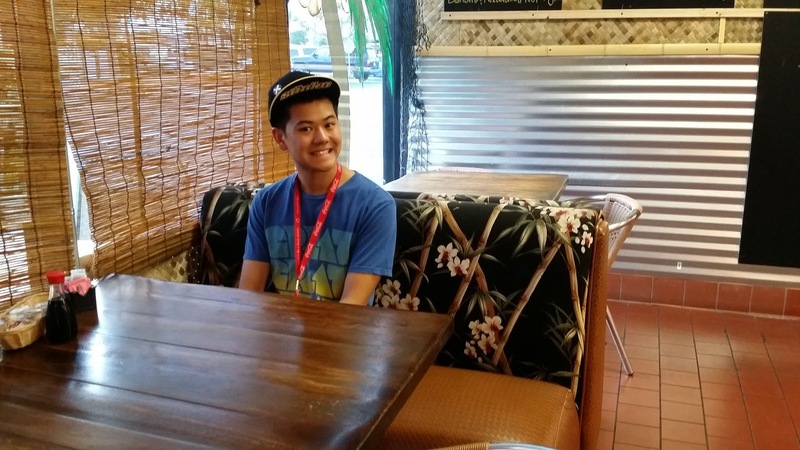 It makes me feel like I'm in a Hawaiian souvenir store or something! 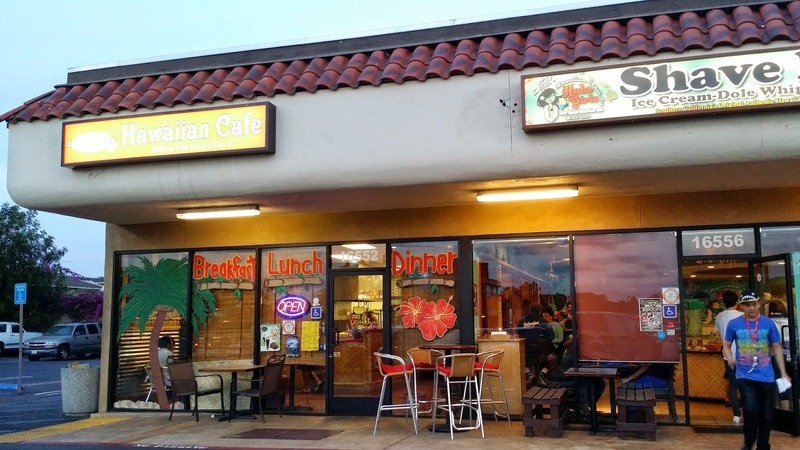 It's also connected to the next-door Hawaiian store that sells Malasadas (Hawaiian donuts) and many other Hawaiian dishes like Kahlua Pork and Loco Moco! 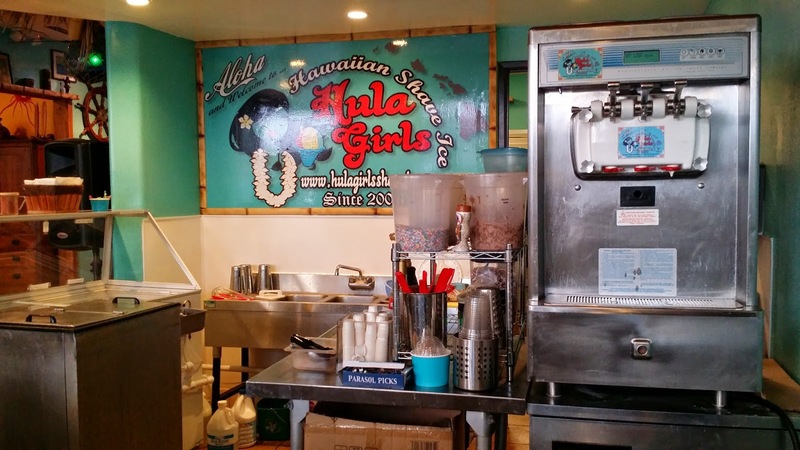 This place has a variety of authentic Hawaiian shaved ice. 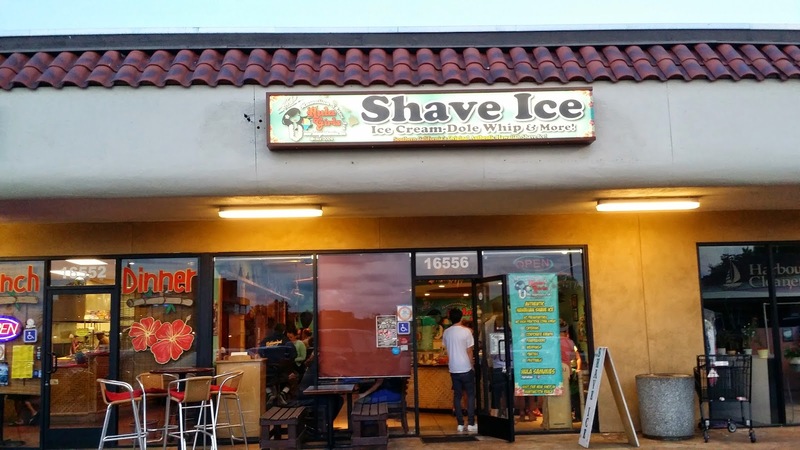 I've heard from yelp reviews that the ice here is veryyyy finely shaved and so it's very soft and perfect with the flavored syrups they have. 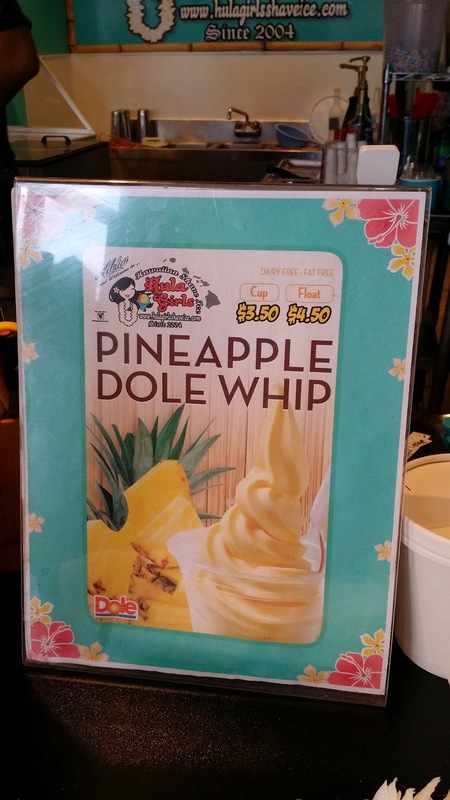 The Dole Whip that they have is popular as well! 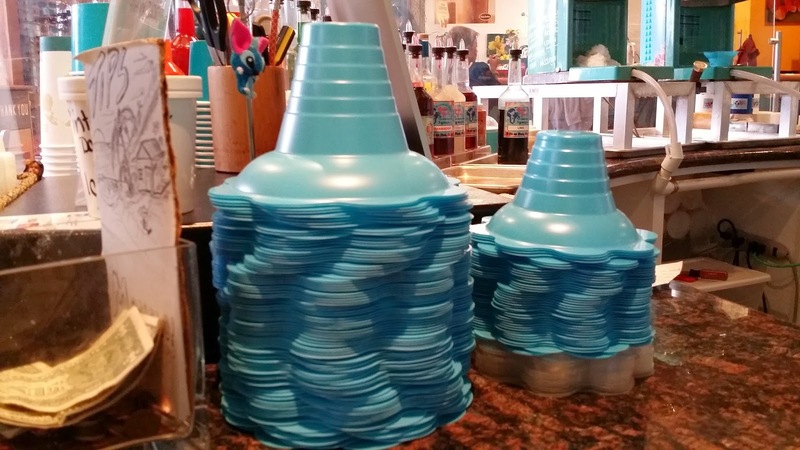 After intense menu staring, Kev and I decided to get what this place is not known for: a tsunami cup. 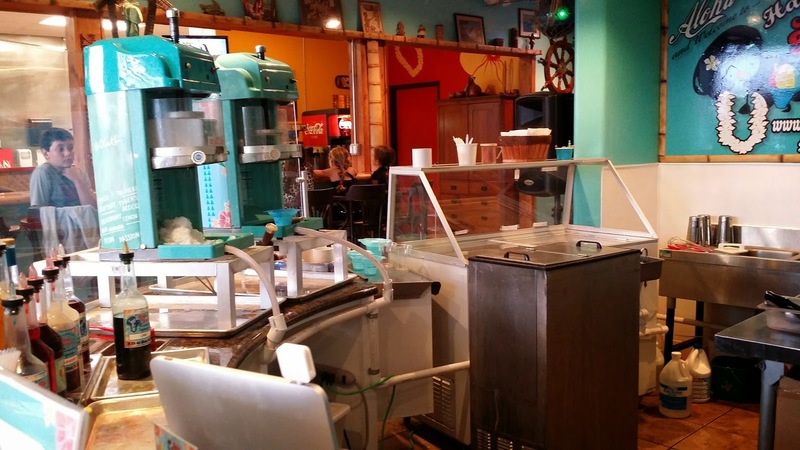 I initially thought the tsunami cup was like an ice cream sundae because I got confused with the photo near it. However, WE WERE SO WRONG. 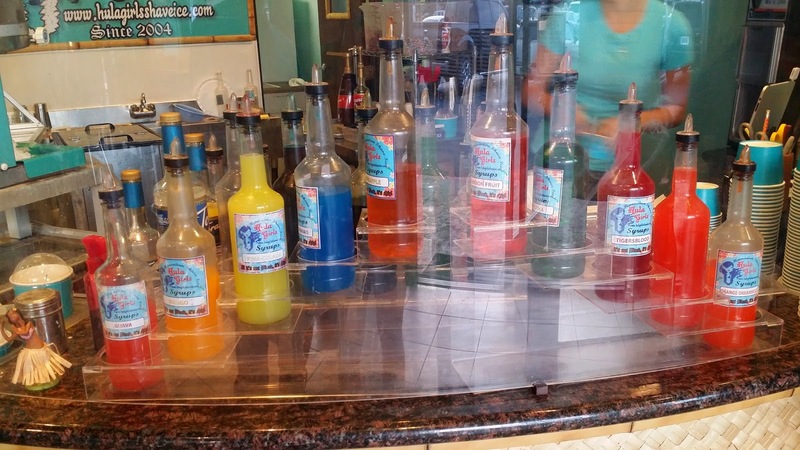 A tsunami cup is basically a blended milkshake! Even though it was not what we expected, it was still very tasty! 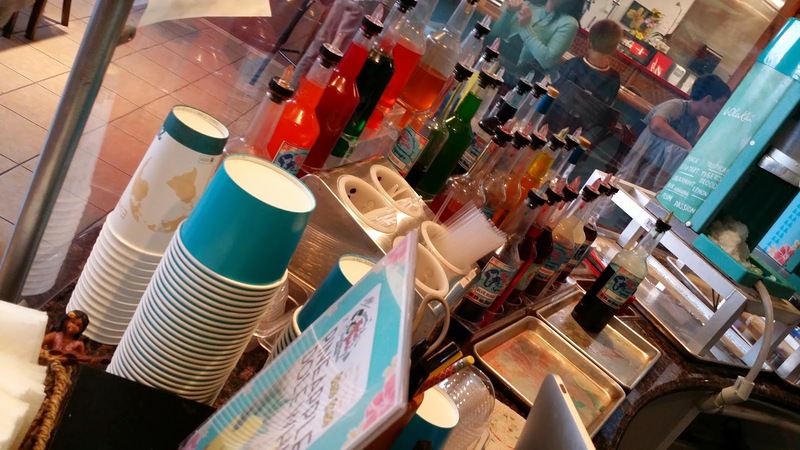 We choose the ice cream flavor and the toppings! 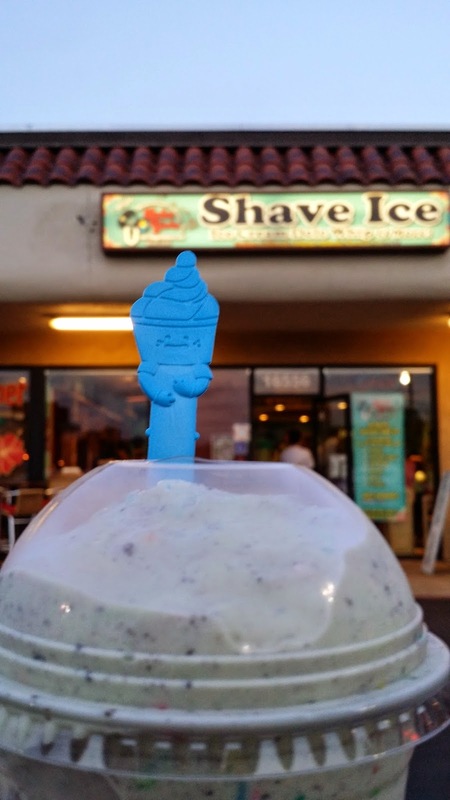 I chose the green tea ice cream with oreos and m&ms (unlimited by the way!) and it actually ended up tasting good! 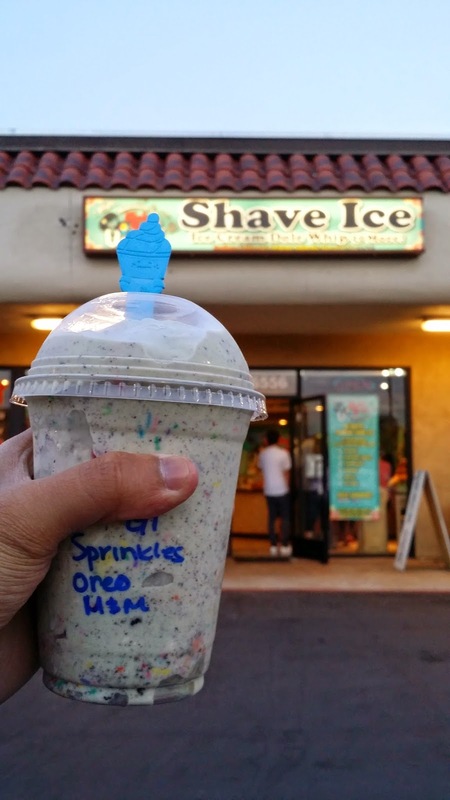 The toppings complimented each other surprisingly! 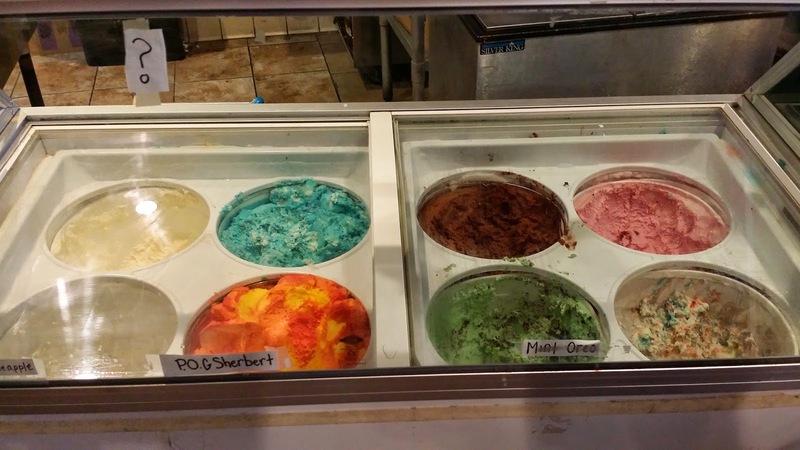 They also have other ice cream flavors here too like lucky charms, fruity pebbles, fruity sorbet, etc. The customer service was great. 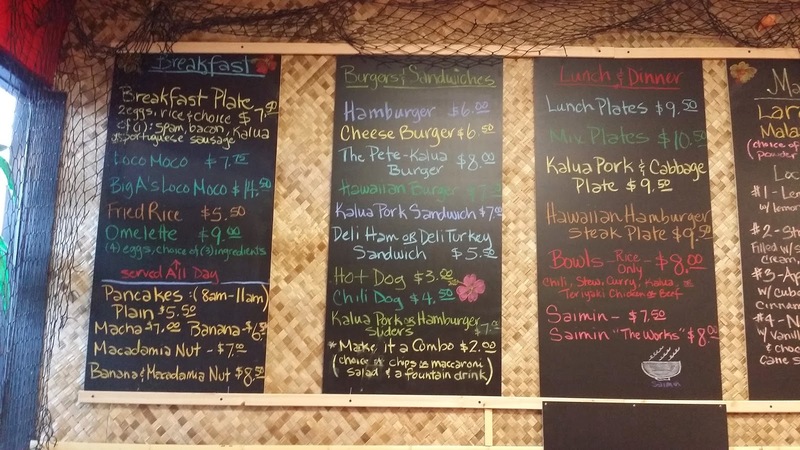 The owners are so nice and welcoming! 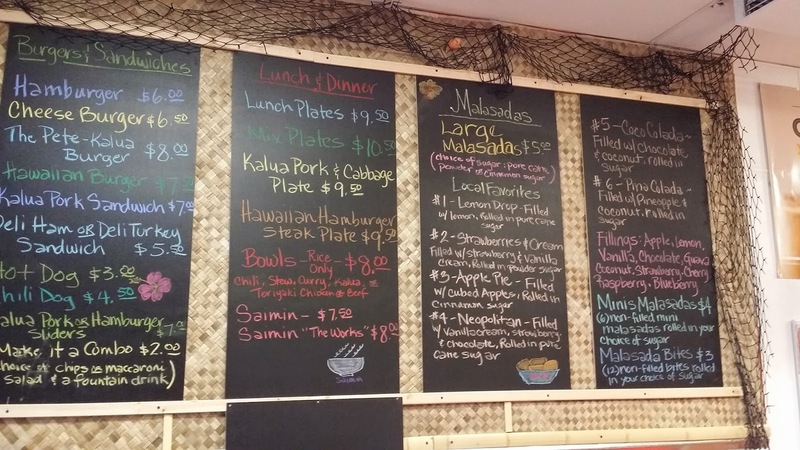 I definitely recommend this place. Although I have not tried their dole whip or shaved ice, I think they are as delicious and authentic as claimed! 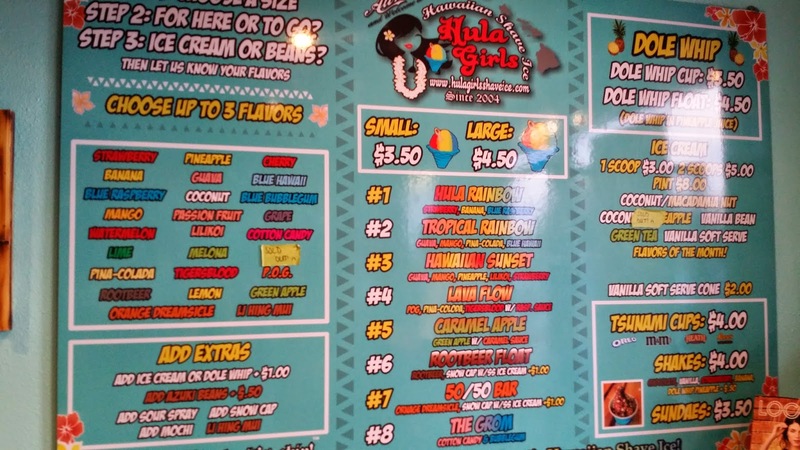 There are always deals on shaved ice on Tuesdays if yo know the secret word but you'd have to follow their instagram for the word (hulagirlsshaveice).